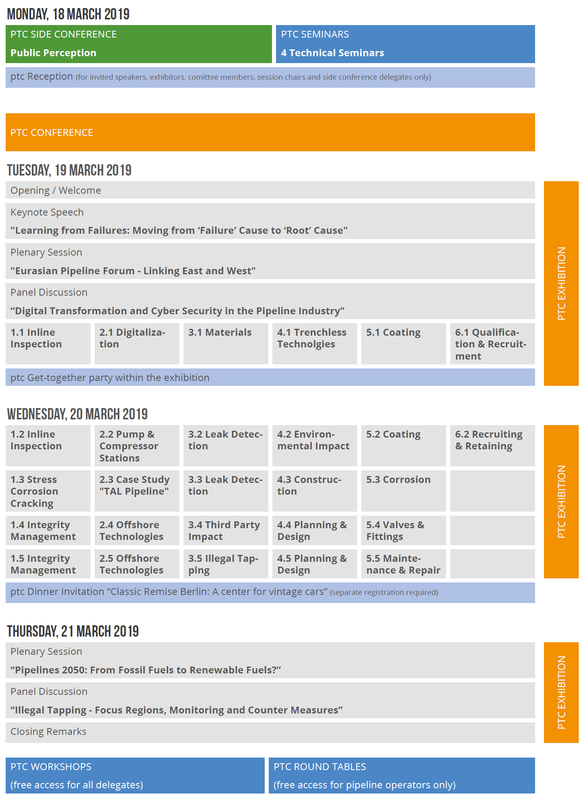 The “job and career market” at ptc 2019 is the ideal platform providing information on job vacancies and attractive career paths in the pipeline industry. Leading service providers as well as oil and gas operators will be present. You are pursuing a new professional challenge in the pipeline sector? You are looking for professional training opportunities? What companies would you fit in well with? Get in direct touch with potential employers. Get a bird’s eye view on your future employer - along with a comprehensive overview of the sector through visiting the exhibition and conference for a special discounted entrance ticket for ptc. Illustration of Job offerings on a job wall. A career check through EITEP Senior Advisors who are experts in the pipeline operator business with many years of experiences at ExxonMobil and BP. For a sustainable promotion of young graduates and job seekers, we offer to present your profile within our Pipeline Newsletter which is sent out to 50,000 experts worldwide. Therefore please bring your CV with you. Taking part at “job and career market” ptc 2019 is targeting your future staff with less expenditure! This is the right place your target group is to be found: Embedded in Europe’s leading conference & exhibition in the pipeline sector. Faster access to high profile candidates – graduates, young specialists, scientists from European universities are invited. Additional presentation space in the focused career centre. A TOTAL CROSS MEDIA PACKAGE along with the Pipeline Technology Journal, the Pipeline Newsletter and social media (LinkedIn, Twitter etc.) for job opportunities placement. Your participation requires little effort – as we will take care of the preparations. Career check for the young professionals, graduates through EITEP Senior Advisors who are experts in the pipeline operator business with many years of experiences at ExxonMobil and BP. Position your company now at a leading sector event with worldwide impact and media coverage.